Kelley has been with Miracles since opening day in 2004 and has worked in the Fayetteville area for the last 22 years. With her smile and great sense of humor, her clients leave the salon having had a fantastic experience and a laugh as well. Kelley’s specialties are shorter styles, perms, and color. Kristen is one of our most seasoned stylists. Before moving to Syracuse from California, she was a former salon owner in the Los Angeles area, where she worked for 20 years catering to a celebrity clientele. Now she graces us with her insight and instinct for cutting, styling, and proficient color techniques. Lori is one of our most experienced stylists and has been in the beauty industry since high school. Over the course of her career, she has attended several educational classes throughout the United States. She received training in advanced cutting and coloring techniques and is a specialist regarding the Keratin and Brazilian Blowout treatments. In addition, Lori also has extensive product knowledge and loves working with her loyal clients to achieve the perfect look. For 28 years, Mackenzie has utilized her creative talent and artistry through hairdressing. She received instruction from Toni & Guy which taught her a mix of precise techniques and gave her the creative freedom to express herself. Her accomplishments include implementing full hair extensions, maximizing fullness for fine textured hair, and using dimensional color techniques to compliment individual features. Margaret has many years of training in the beauty industry. She spent eight years traveling as an educator for a prominent hair color company. The knowledge and experience she gained while working with leading educators in the field has allowed her to perfect her ability as a stylist. While knowledge is her strength, haircuts, color, highlighting and finish work are her specialties. Pam believes that a haircut should reflect one’s own personality. Her 30 years of experience with a wide variety of hair types has led her to cut according to the hair’s natural texture. While in Chicago, she specialized in hair color. She strives to stay current in color trends while keeping hairstyles up to date and fresh. Amanda is a young, hip, cutting edge stylist who has been in the business for ten years. She has attended TiGi advanced training courses in New York City, The Hair Show in Las Vegas, and most recently, advanced Keune color classes here in Central New York. Amanda also excels at airbrush make-up and specialty styling to help you look your best for all of your special occasions. Amy has been at Miracles for over nine years, but has been in the industry for twelve. She is a skilled stylist and performs a variety of services and especially loves working with hair color clients. To meet their needs, she provides encouragement and fresh ideas for those who are ready to embrace a new look. Amy is creative with color and cutting for both long and short hair, and she also does perms and facial waxing. 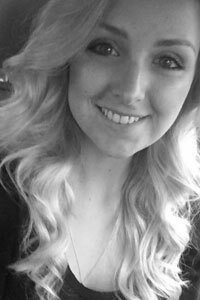 Dani is a promising stylist whose love for coloring, highlighting, and cutting has fueled her career here at Miracles. She has completed many classes in these areas and continues to educate herself on current styles and trends. Dani is sought after for her specialty styles and updos, and also does facial waxing. Erin enjoys all aspects of cutting, coloring, and styling hair. Her eclectic style and fashion forwardness makes her a great fit for anyone looking for a new, edgy hairstyle. 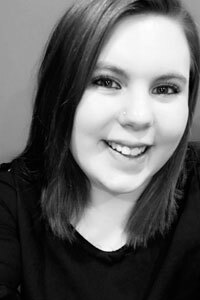 Erin’s upbeat personality and great sense of humor add to her overall talent as a stylist making your time spent with her both memorable and worth while. Kate is a people person who makes you feel comfortable as you’re receiving the hairstyle of your dreams. She attended advanced training classes in color and cutting in both Las Vegas and Philadelphia and is also experienced with the Brazilian Blowout treatment. Her personality and attention to detail keeps her very diverse clientele coming back. Kathleen is an incredibly talented stylist who specializes in color, fun hair styles, and the Brazilian Blowout straightening treatment. She has traveled to many places such as NYC and Las Vegas for continuing education and stays up to date on today’s hottest trends. Kathleen’s goal is to help every client find a true fit for their natural hair type making it easy for them to replicate at home. Sarah is a talented stylist who is very passionate about her work. Since joining the Miracles team in 2011, she continues her education and attends classes in the latest cutting, color, and highlighting techniques. She loves creating up-do’s and specialty styles for special occasions. Sarah places high value on listening to her clients, understanding their needs, and respecting their hair. Trisha has been with Miracles and in the hair industry for a decade. She trained at the Toni and Guy Academy in New York and the Keune Academy in Atlanta, Ga. where she perfected her cutting, coloring, and specialty styling-which she is amazing at! Trisha’s spunky, vivacious, personality coupled with her undeniable talent keep her clientele loyal and content. Anna’s creative eye, attention to detail and quirky sense of humor always make her clients feel comfortable and excited about their experience at Miracles. Her strong communication and problem-solving skills help in making sure she’s always on the same page with her clients’ hair goals. She is always on top of the latest trends through her own personal experiences as well as attending continuing education classes in this ever-changing industry. Specializing in balayage, highlights and men’s and women’s haircuts, she is also Brazilian Blowout certified and very knowledgeable when it comes to pairing the right products with the desired result. Whether you’re needing a simple trim or a total transformation makeover, Anna isn’t afraid to roll up her sleeves and wow you! Cassi is one of our most sought after young stylists. Her ability with fashion colors is off the charts. She enjoys experimenting with new techniques and isn’t afraid to push the envelope. She also is a talented make-up artist and specialty stylist. As with all of our staff, she takes continuing education very seriously. She just completed an extensive cut and color class at the Keune Academy in Atlanta. Working with Cassi is sure to be a wonderful experience. Ellen is a talented, meticulous stylist who is very passionate about her work. She performs a variety of hair services and especially enjoys working with all types of color and creating specialty styles for memorable occasions. Not only is she a licensed cosmetologist, she is also a New York State licensed esthetician and lash technician. She provides customized facials, full body waxing, and lash extensions. She is willing to learn new ideas and techniques through continuing education and then pass it on to her clients. If you choose to book your next appointment with Ellen, you will not be disappointed. Jessica is a young, confident, and knowledgeable stylist. She has been in this profession for 5 years and has enjoyed every minute of it. Not only does she excel in hair but she is a talented make-up artist as well. If you are that person who is particular about your eyebrows, she is the girl for you! She is great at shaping, plucking, and waxing brows. Continuing education is very important to her to stay current in new techniques and trends. She has taken many classes, most recently a cut and color class at the Keune Academy in Atlanta. Booking an appointment with Jessica is sure to be a pleasurable experience. Cheryl has over 25 years of experience as a natural nail technician. She specializes in gel nails along with spa pedicures which include hot stone massages and paraffin dips. Affordable luxury is her motto and she welcomes all of her past and new clients to experience Miracles Hair Studio and Day Spa. Katy is a skilled nail technician who pays attention to detail. Her manicures, pedicures, and gel manicures are performed meticulously while she engages her clients in comforting conversation. She consistently makes her clients feel relaxed and at ease while performing their services. Putting your nails in Katy’s hands promises to be an experience that is exceptional. Tiffany has been employed at Miracles since its inception. She has experience woking as a stylist, receptionist, and most recently, as a nail and wax technician. 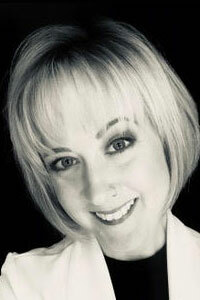 Tiffany’s friendly demeanor and talent in multiple aspects in the industry make her an invaluable asset to this salon. Kat is a proud graduate of the Aesthetic Science Institute. She performs custom facials using award winning Eminence skin care. Kat is trained in both VI and Glytone peels and is also educated in laser services such as acne, photo facial, rosacea, and hair removal. Other modalities she offers are microdermabrasion and micro current. Full body waxing from brows to Brazilians is also offered. All services take place in a clean, comfortable, and relaxing environment. Kat is knowledgeable, passionate, and eager to aid in the transformation of your skin. Michelle is a New York State Licensed Massage Therapist and is Nationally Certified in Therapeutic Massage and Bodywork. She is highly skilled in relaxation, rehabilitative and deep tissue techniques. Michelle takes sincere interest in her clients in order to determine their needs and goals. She is passionate about her work and strives to achieve balance, alignment, and wellness for those who see her. Kim is the manager here at the salon. She has worked in this community in the customer service field for 25 years. Her many years of experience and degree in business management have groomed her for this challenging yet rewarding position. Her very friendly and approachable demeanor has allowed her to familiarize herself with the clientele making their time spent here at Miracles one to remember.